In response to campaigns against the use of wild animals in circuses, seven states and 149 localities have passed various restrictions or bans. 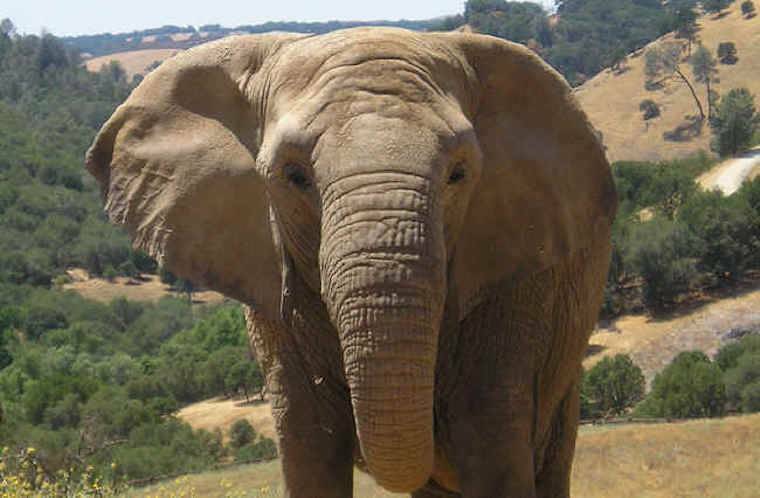 From Performing Animal Welfare Socieyt (PAWS): Ruby's records show that prior to her transfer to Los Angeles Zoo, she was transferred several times and performed with Circus Vargas. The trauma from capture and transfer is devastating to a young elephant. Obviously, Ruby's life was the ultimate cause of her death. The only federal law that governs animal welfare is the Animal Welfare Act (AWA). It was passed in 1966 and has been amended several times since its inception. The Act authorizes the Animal Care program of the United States Department of Agriculture’s (USDA) Animal and Plant Health Inspection Service (APHIS) to adopt and enforce regulations that protect the basic welfare of animals. Companies such as Ringling Bros. have been prosecuted under the AWA for their cruel practices against elephants. After a year-long investigation by animal rights activists, the USDA fined Ringling Brothers for its alleged violations from June 2007 to 2011. The USDA can fine up to $10,000 per violation; it is estimated that Ringling Bros. was charged with more than twenty-seven violations. Those violations included: whipping elephants with bullhooks, trapping them in train cars filled with their own feces, and chaining them in place for most of their lives. Although the AWA was successful in enforcing its anti-cruelty provisions against Ringling Bros., states have been tasked with drafting local laws that prohibit or restrict the use of wild animals in entertainment. As mentioned, the AWA is the only federal law that regulates animal welfare. It applies to facilities that breed and transport animals for commercial sale, use animals in research, or publicly exhibit animals. Regulations adopted under the AWA mandate minimum standards for animals in these facilities, including housing, handling, sanitation, nutrition, and safety. The Act provides enforcement mechanisms to punish those that have harmed or abused animals, but it does not create a comprehensive legal scheme to prevent animal exploitation in the first place. The AWA is thus a reactive federal law: it punishes past violators. It does not proactively prevent the use of animals in these facilities. Many animal rights advocates believe that the AWA is not as effective as it could be because of its limited scope. Some argue that animals are entitled to rights and freedoms similar to humans. While state and local initiatives against the use of elephants in entertainment have been largely successful, there is much work to be done. Elephants are still being used in circuses across the country. The federal government must use these state and local laws as a model to prevent animal exploitation nationwide.